The club chairman John Evans is looking to hold a club bonfire this year on Saturday 3rd November 2018. It costs between £400.00 and £600.00 to fund this event, if we buy commercial fireworks and provide food as we have in the past. John is proposing that the cost this year will be £10.00 per adult and £3.00 for children. This would include the firework display and a choice of food which would be pie and peas and or something from the barbecue. He needs to know if enough members and guests are interested before we commit to going ahead. Can you please let John ( Mobile: 07768 741 977 Email: johnevans.ddmac@tiscali.co.uk ) know if you are would like to attend, with the numbers of adults and children in your party. You can also let us know on here by replying below. If we do not get enough people interested the event will not be financially viable and will not go ahead. I would attend (one adult and would like pie and peas). I would like to attend. 1 adult, pie and peas. Are we sure we are asking each adult(not member as usual)to pay £10? If so it is a massive increase,last year I paid approximately £30 whereas this year it would cost me over double that figure. Some members were not happy with how I ran and funded the bonfire last year and in view of that, I said I would not do it this year. The bonfire for the last 2 years made a slight surplus and the 2 years prior to that, cost the club £60.00 & £80.00 respectively. John offered to organise the event and the cost he is proposing is £10.00 per adult and £3.00 per child as above. It was discussed at the meeting last night and I expressed my view, that the cost would be too high, if you are bringing a number of adults as guests. It’s Johns’s event this year and that is his proposed pricing structure. If members feel the cost is too high and will not attend, we will most likely end up cancelling the event for this year. This reply was modified 6 months, 1 week ago by Martin Lynn. Thanks for the information Martin. 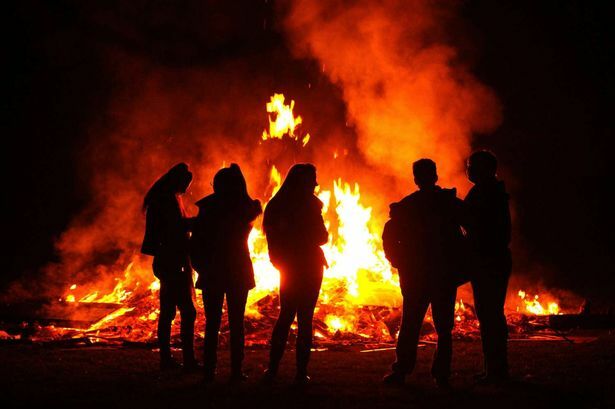 Bonfire night has become a great event and the one time a year that most members brought along family and friends to enjoy a traditional social event. i aren’t sure about any of the costs involved but I don’t think it will have taken much money at all from the club funds? it seems like the few are wanting to spoil it for the many so if the prices stay the same I will sadly not be attending this year. If there is a lack of funds to provide a £300 approx. outlay for fireworks and food .Fireworks and food will be cancelled. If anyone as a problem with this event please contact me personally. The club bonfire and Guy Fawkes Fly-in are going ahead on Saturday 3rd November 2018. When I stated this event again some 4 years ago, it was always my idea to make it an event, that members could attend with family and friends for one evening of the year. Subject to the weather, I will organise a few fun fly events from around 1.00pm during the afternoon. If anyone fancies some night flying, then that will go ahead once it gets dark. We will aim to light the fire around 5.30pm and start serving the food, shortly after that. The firework display will commence around 6.30 pm. We will be buying the commercial fireworks as we have in previous years. This event is expensive to put on and we need members and guests to support the event to make it viable. It costs between £500.00 & £600.00 to put on this event including the food, drinks, sweets and fireworks. We have revised the pricing structure to try and make the event financially viable and fair to both members and guests. The cost includes the firework display and a choice of food, of either Pie & Peas or something from the barbecue. The club chairman John Evans is taking the food orders and collecting the numbers for that. Please let John know the numbers in your party together with your choice of food. This reply was modified 6 months ago by Martin Lynn. Can I have 9 tickets for the bbq please. Apologies for not making that clear Chief. I have 4 adults and 5 children attending. It is the club bonfire today. Members will be down at the field from about 10.00am to set things up. Hopefully we might have a few fun fly events during the afternoon, depending on the weather. It looks like it should stay fine, with light cloud and sunny spells. However, it is going to be windy, with a strong South Westerly (13 mph with gusts to 25 mph). 1. 1100 to 1700 Flying & Fun Fly Events. 3. 1715 to 1800 Food served & Night Flying. 4. 1815 to 1900 Fireworks. Thank you to everyone who attended and helped out with the preparation of the club bonfire. It takes a lot of time to set it up when you include the stacking the bonfire, setting things up on the day, purchasing and cooking food, buying the fireworks and generally putting the event together. It is one event where members families, friends and children can attend and enjoy the day. I think and hope that everyone who attended today enjoyed the evening. We raised another £55.00 for Kirkwood Hospice, making a total of £505.00 for the year. This reply was modified 5 months, 2 weeks ago by Martin Lynn.